Frank Asch is best known for his Moonbear series of books. I was sent a couple of books from this series by my sister-in-law and we've really enjoyed the books. Moonbear is the protagonist of the stories along with his friend Little Bird. I try to make different voices for the characters and this has entertained Jonathan as we've read them. The stories are simply told and illustrated, but they also combine elements of science/nature appreciation. Frank Asch sets up the simple science lesson in four small square pictures at the beginning of the book. In this book, Moonbear makes a bargain with his friend, Little Bird. Moonbear wants to learn how to fly and Little Bird wants to learn how to be big. The story is all about how the friends creatively solve these problems to help one another reach their goals. The science lesson is seen in watching a big pumpkin grow from a tiny seed. 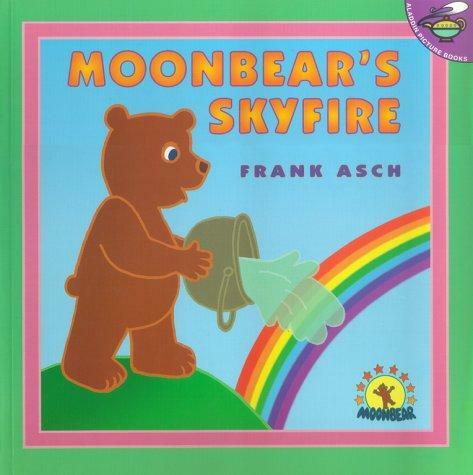 In this Moonbear adventure, Moonbear sees his first rainbow and thinks the sky is on fire. Moonbear wants to go put out the fire. Little Bird, however, wants to find the pot of gold at the end of the rainbow. This is a cute story that is perfect for this time of year (March/St. Patrick's Day). the science lesson is seen in exploring rainbows. In this adventure, Moonbear goes fishing but finds that his shadow frightens the fish away. So Moonbear sets out to get rid of his pesky shadow. It's a great story for talking about shadows and the position of the sun. This story explores echoes. Moonbear wants to know when the Moon's birthday is. In talking with the moon, he hears his own voice echoing and learns that the moon shares his birthday. So, Moonbear sets out to give the Moon a present. It's a very cute story about friendship and forgiveness as well as seeing the position of the moon. 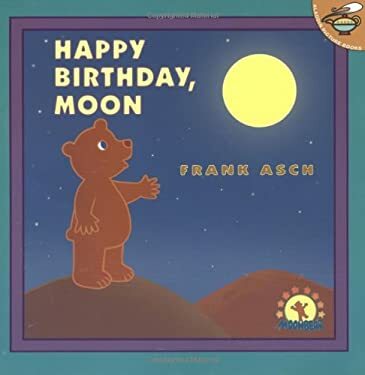 There are many more books in the Moonbear series as well as many other titles by Frank Asch. These books are so cute and very toddler friendly. I think we will be enjoying these books well into Jonathan's preschool and elemenrary school years!